Kazakhstan, which claims most of the Caspian shelf’s proven and estimated resources, is revising plans for its development. It has been two years since President Nursultan Nazarbayev signed a decree abolishing the failed 12-year state program to develop the Kazakhstan Sector of the Caspian Sea (KSCS), which began in 2003 (see “Missed Possibilities”, Petroleum, No. 2, April, 2011). Since the rejection of the previous program, the authorities have not even attempted to develop a new one. The Government, however, has not turned away from developing the hydrocarbon resources of the Caspian Sea. Oil and gas resources in the Caspian region are Astana’s main political resource in foreign policy and the global economy. Authorities have decided to act based on the results of projects already underway. Such a decision was evidently made as a response to the fact that all previous forecasts were inaccurate and it is not clear on which basis it is necessary to build new ones. Officials from both the Ministry of Oil and Gas and KazMunaiGas have not completely given up the old concept of the failed KSCS state program, and prefer to use the term “strategy.” And at the heart of this strategy is addressing the reasons for this big failure. 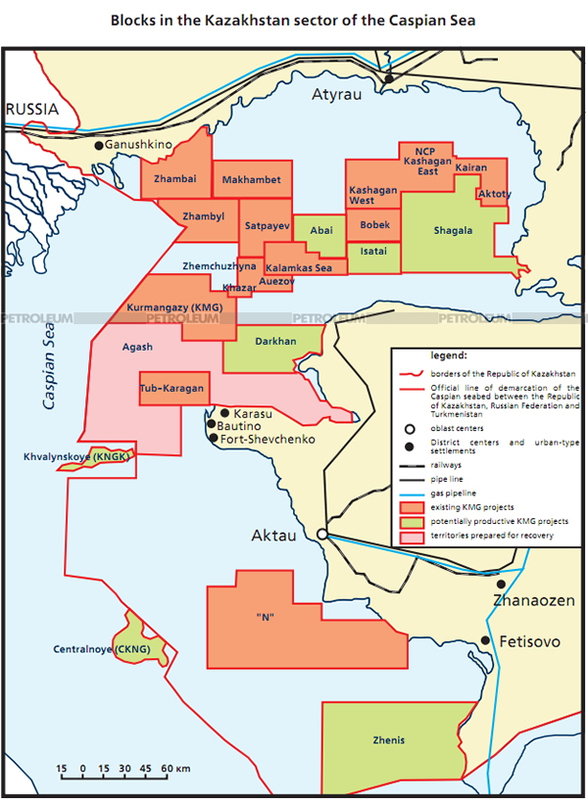 The so-called national strategy of the Kazakhstan Sector of the Caspian Sea (KSCS) development is based on three pillars: the new Kazakh Law ‘On Subsoil and Subsoil Use’ adopted in 2010 with further updates of the regulatory framework; revaluation of hydrocarbon reserves in the KSCS and the domestic fleet of offshore drilling rigs. The new revision of the Law ‘On Subsoil and Subsoil Use’, which was adopted by the Parliament in June 2010, drastically changed the terms and conditions of the tenders for subsoil use rights and subsoil use operations. The criteria used by the tender committee for granting subsoil use rights were reduced to only two: subscription bonus and allocations for social and economic development of the area. As a result, the pre-qualification procedure for tender winner selection became more controlled by the government. The legislators introduced amendments according to which the government was vested with authority to establish the rules and procedures for accounting minimal Kazakh content in acquired goods, works and services used in course of subsoil use operations. Every subsoil user is now obliged to regularly submit reports on its compliance with the obligations of Kazakh content in the staff employed. They also introduced regulations which require land reservation for subsoil use purposes in accordance with the procedures established by law, and offered a mechanism of dispute settlement in compliance with the laws of the Republic of Kazakhstan and international treaties ratified by Kazakhstan. The position of Akorda is unambiguous and outright. It has been legally reflected in the new subsoil legislation – Kazakhstan has no further provisions for entering new production sharing agreements (PSA). Instead of PSA the government is promoting so-called contracts for cession of subsoil use rights: concession agreements with investors (for exploration, production and combined exploration and production). According to the estimates made by the Association of the Petroleum Sector Lawyers of Kazakhstan, the new-type contracts for cession of subsoil use rights are essentially concession agreements which are close to the PSA philosophy. In reality, they abolished the regime of stability for investors, and the new type of contracts is subject to a stricter control by the state and they are vulnerable to any changes in the legislation. A framework condition for investors is that the Kazakhstan national company gets 50% and bigger stakes in the projects, and foreign investors are supposed to completely undertake financing of exploration projects. Even if exploratory drilling ends in a commercial discovery, Kazakhstan government does not guarantee that oil production contract is going to be executed with the investor. In 2010 the message given by the President of Kazakhstan to government officials instructed them “to work at the issue of leaving the ‘immunity zone’ so that everyone works in compliance with those amendments in the tax laws which are going to take place in future”. Kazakhstan Minister of Oil and Gas, Sauat Mynbayev, noted that “in our view, PSAs stimulate higher project costs to some extent as they are covered at a cost of crude oil with interest. Combined with weak governmental control, it is easy to upset the balance of interests so that they are not in the country’s favor.” Astana has become publicly and legislatively tougher in its work conditions for foreign investors, justifying its position as necessary for protecting national interests. Most officials and politicians are very critical of the PSA structure (similar to the contracts signed for Kashagan and Karachaganak) and upgraded concessions, for example Tax and Royalty Concession Agreement (Tengiz project) and do not consider them to account for the interests of the country. Each new contract will be examined on an individual basis. After two rounds of examination within the Ministry of Oil and Gas, there are very few remaining production sharing agreements still active on the Caspian shelf. PSAs have expired due to the completion of the exploration phase in the South Zhambai-South Zaburunye, Kur-mangazy, and Tyub-Karagan areas. All that is left is NC KazMunayGas’s rejected application to sign a PSA for the Darkhan area. Negotiations are under way with the equity owners of Caspy Meruerty LLP to transfer their PSA for the Zhemchuzhina area to the new legislation on subsoil users. The North Caspian project contract and interstate projects with Russian companies on the Khvalynskoye deposit and Central structures are the only projects not affected by new legislative trends. The latter are outside of the scope of Kazakhstani legislation and are considered side projects. During the year of 2012 certain regulations for offshore drilling operations at the seabed depths of 1 to 2 meters may be further specified, updated and revised. This directly concerns the areas of the North Caspian uplift, which is the second largest in terms of its potential resources in the entire oil basin of the Kazakhstan Caspian shelf after Pre-Caspian Depression. 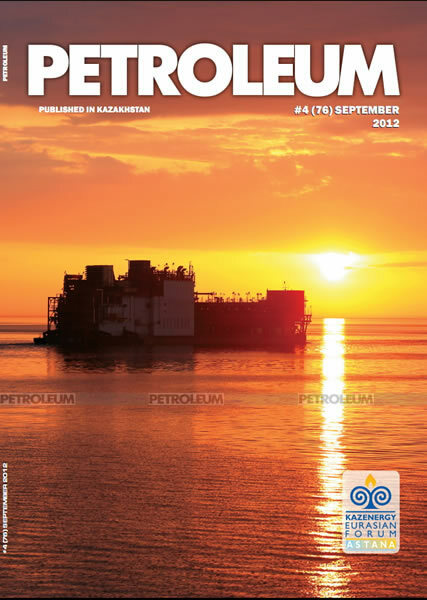 According to the explanations provided to the Petroleum magazine by the chief of the Administration for Control of Offshore Petroleum Operations under the Emergency Department of Atyrau oblast Mr. Nurlybai Nurgaliyev, the current regulation is based on the requirement of building a one-meter safety berm on the sea bed prior to start of any drilling operations in shallow waters in order to provide more safety and stability to the drilling rig. But this regulation is more relevant for drilling operations performed at depths ranging from 4 to 7 meters. As to seawater depths of 1-2 m, the current regulation requires a 30 cm berm to be built there. In reality, a 30 cm bench makes a drilling rig even more unstable than as if it were merely standing on the sea floor. A solution can be found in installing the jack-up rig on piles, and this has to be reflected in a revised regulation. This is not the only obstacle for the start of real work on the North Caspian shelf. It is necessary to update and revise a number of standards for drilling, production, transportation, arrangement and location of the coastal infrastructure to fit the unique and vulnerable environment of the North Caspian Sea with its environmental exposure and logistical constraints.